Last year, I was asked to plan and lead a Holiday Club for children aged 4 – 11. It will be a solo project for my church who I was going to work for. It was a challenge – I didn’t have a clue on how to plan it, who my team would be and who the children are. Funnily enough, my theme ended up being Joshua and the Wall of Jericho. As I read through Joshua, I was overwhelmed with how much God knew how scared I was and needed encouragement. Like Joshua, I needed to be told to be strong and courageous and not to be afraid. Friend, you don’t need an army when you have God and your community of prayer warriors to carry you through whatever challenge you face. You might be thinking ‘Linu, it’s so easy for you to say that safely hidden behind a screen. You have no idea what I am facing’ and girlfriend, you are right. I have no idea what you are facing but God does. Whatever challenge you are facing, God is with you, standing by your side, going before you to make a way and strengthening you. All we need to do is look up. Looking up heavenwards where our prayers rise up like incense. Looking up to elevate our perspective to see God beyond our problems. Looking up and waiting for Him to guide us, help us and save us. Friend, be strong and courageous. Don’t be afraid of whatever challenge you are facing because God is with you. 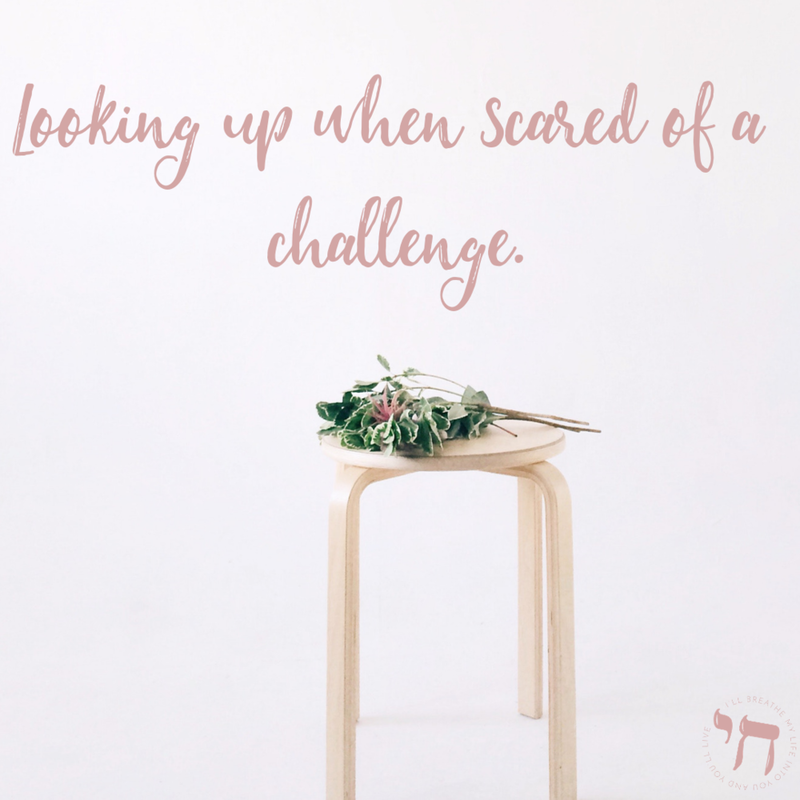 Whatever challenge you’re facing, I pray that you look up.